Best known for their 1999 hit, “Everything You Want,” Vertical Horizon is much more of the technically sound, jam band than the (admittedly enjoyable) radio hit would lead one to believe. 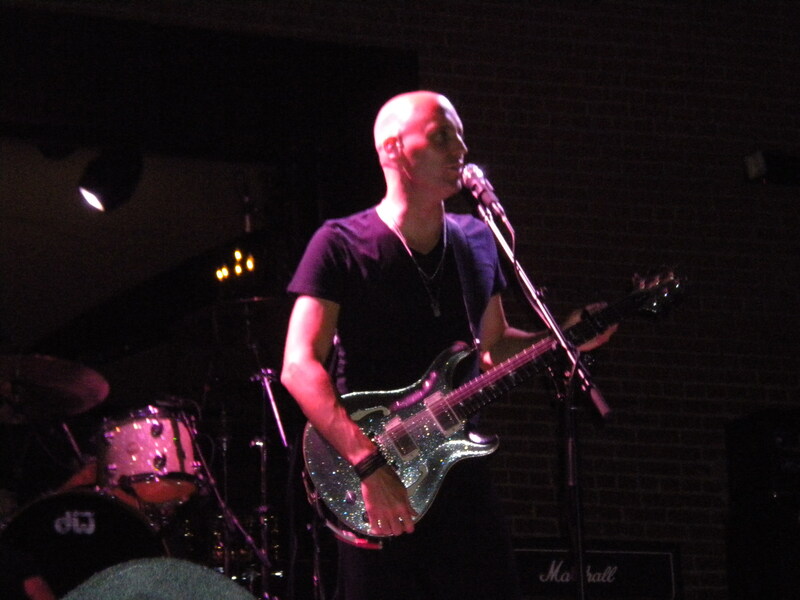 At Charlotte’s Fountain Plaza, Vertical Horizon lead singer, Matt Scannell, brought a stage presence that highlighted the emotion behind his music while never taking himself too seriously in a show that was enjoyable for long time fans and newbies alike. At one point he stepped away from the mic to allow the crowd to sing the lyrics. The problem was that only half the crowd knew the lyrics. So, he told the other half to just sing the name of their grammar school best friend. It led to a murmuring mess, but a fun mess and involved the entire crowd. He then shared the actual lyrics so everyone could sing along, and from that point, everyone (maybe it was just me) seemed totally engaged. After a few more songs, Matt’s three bandmates stepped off the stage, allowing him to play an acoustic song with an especially emotional story behind it. As he told us, he had a big fight with his father over something “that seemed important at the time.” It led to them to not speak for well over a year. He was living in D.C. and his parents in Massachusetts. Late one night, he finally broke down and drove to his parents home. He arrived at their house at 6 a.m. and knocked on the door. His father answered, and surprised to see him, asked “Are you ok? Are you ok?” He responded, “I will be after I play you this song.” He then shared the heartfelt song with us. It was a great song, but was especially powerful with the context he shared. It was also very appropriate for Fathers’ Day Weekend (Happy Fathers’ Day, Dad). It’s the emotion behind the music that makes it special, and (arguably) what makes it art. They saved their best song for last though. They chose to close with my favorite Vertical Horizon song, “We Are.” It is a four-minute song, but they broke it out into a 15 minute jam fest that included a 90 second bass solo and back-to-back guitar solos by the singer and guitarist, respectively. Someone recently told me, “If I want to hear them exactly as they sound on their studio album, I can just buy the album.” Rather, Vertical Horizon offered a fun, not-too-serious stage presence and displayed musicianship and creativity, especially with their last song. For that, I became a fan after seeing them live in concert, and I wrote this blog post twice (WordPress bugged out and deleted the post the first time I wrote it). …and for me this was just a warm up concert for the big one in August. The headline of this post is some of your very finest work. Glad you like it. I thought it was a good one. Kudos to Tommy D of TommyDTalksMovies.com for introducing me to “We Are.” Don’t forget to renew your URL subscription, Tommy.